Rockland County Clerk Paul Piperato swears in Constance Frazier as new Rockland County Commissioner of Human Rights. 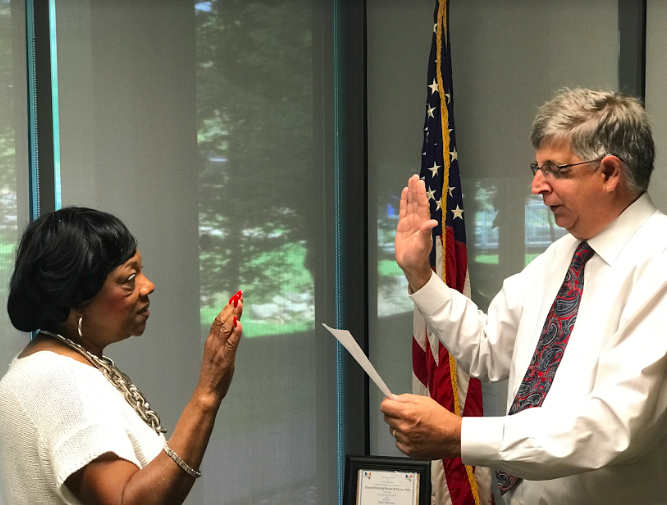 NEW CITY, NY – Rockland County Clerk Paul Piperato today swore in Constance L. Frazier of Montebello, as the county’s new Commissioner of Human Rights. Ms. Frazier grew up in Rockland and has had a distinguished career in educational administration. She has been an active community member for many years, serving on the Nyack Board of Education, the Nyack Village Planning Board and the Nyack and Spring Valley NAACP.